The blogger dashboard has changed over the years and sometimes it gets a little bit tricky trying to adjust to the new layout. 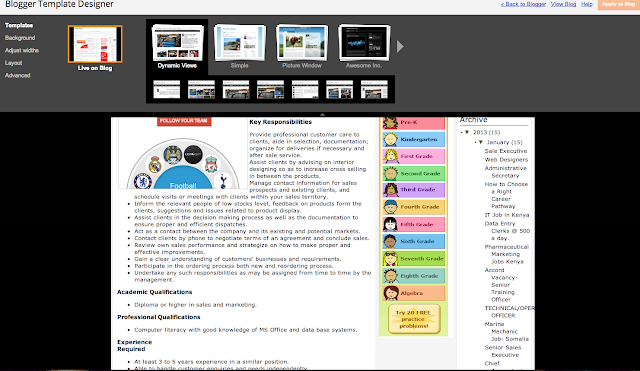 For example before the new layout which was implemented fully in 2012 you had the option to select which existing widgets to keep and which ones to delete, in the new interface that happens automatically and in the process of updating to a new template, you might wonder if you still have your widgets or not. One great advantage that blogger has over many blog platforms is that it gives you simple and fast acces to the core template code of your blog, therefore letting you customize it to your needs. and the good thing is that you dont need to have any special html knowledge to do it, you can just follow a simple tutorial and do it by your self. Here are a few steps to help you edit your template. Template designer is a build in application that lets you edit your blogger template by using a pre-made templates which are very customizable. the advantage of using the template designer is that you can adjust the layout, width, color and content style of your template. Apart from all this it also let you edit the CSS, which might be very helpful if have some knowledge of it. 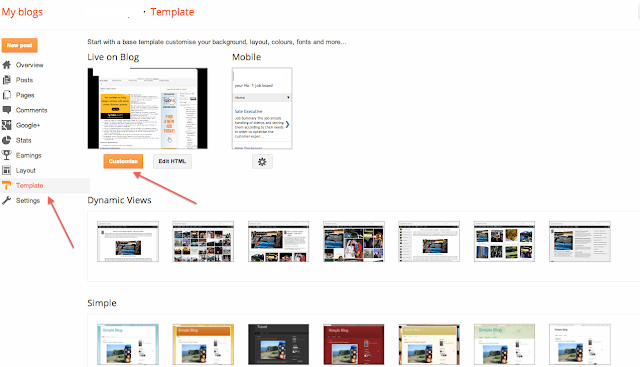 Here is how to open the template designer. Log into your blogger account, go to dashboard and select the blog you want to customize. On the left hand side where you have different options, select on 'Template' then click on customize. this should bring you straight to the template designer. If you want to have a more professional look, i would sugest you look for a third party template offered by many sites out there.you can have a neat and responsive blogger template of your choice either by searching and downloading or hiring someone to design one for you. Here is list of a few websites that offer templates. After you get the template of your choice, you can follow this simple step by step guide on how to install it to your blog. Assuming you are already logged into your blogger dashboard, select your blog, then on the left hand side click on 'template' and then on the top right hand side of the screen you will see 'Backup/Restore' click on it. 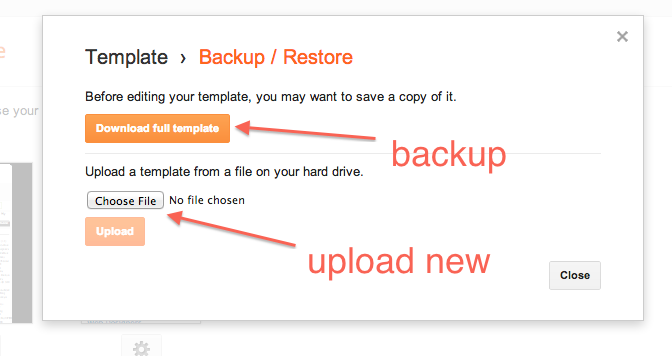 A small screen should pop up giving an option to first backup your existing template, do it before you upload your new one.